FlexITechs was born in 2003 out of a successful beginning as Sussex County Online to better define the computer services side of our business. FlexITechs provides a myriad of computer-related services for consumers and businesses in Sussex County, Delaware, and Worcester County, Maryland. We achieved a milestone in the computer services industry in 2007 when we earned the Microsoft® Small Business Specialist designation and became a Microsoft® Certified Professional. We are currently members of the IT industry association, CompTIA, as well as the Healthcare Information and Management Systems Society (HIMSS). Besides those memberships, we’ve continued our education by attending the CompTIA Breakaway conference in Washington, D.C., in 2011, the SMB Nation spring conference for Microsoft Small Business Specialists in Newark, N.J., in 2009 and 2010, and the Managed Services University Boot Camp in Newark in 2010. FlexITechs’ sister company, Sussex County Online, offers Internet-related services such as web site design and hosting and online advertising. 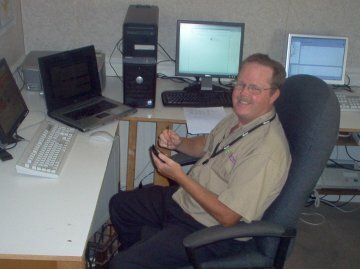 The owner, Eric Magill, has been involved in computer-related services since 1996, when he helped launch Beach-Net!, the most successful web site hosting business in Sussex County. Magill left Beach-Net! to start Sussex County Online in 1999 to provide an online source of local news and information. From there, the service naturally progressed to web design and hosting, Internet Access, and computer repairs and sales. In addition to managing Windows networks, Magill has experience solving all types of computer problems, from hardware issues such as failed hard drives and memory upgrades to software issues such as restoring operating systems or removing those nasty spyware bugs and viruses. Magill grew up in the Bethany Beach area. He graduated from Indian River High School in 1978 and Moravian College in Bethlehem, Pa., in 1982. After college, he was a sports writer for 10 years, eventually covering the 76ers and Big Five basketball for a suburban Philadelphia daily. He later owned his own print shop and weekly newspaper. After moving back home to Ocean View in 1996, Magill served the maximum two consecutive terms on the Ocean View Town Council from 2001 to 2007 and one term on the Ocean View Planning & Zoning Commission from 2008 to 2011. He lives in Ocean View with his wife Kerin, daughter Kelsey, son Nathaniel, and Jessie, the family’s English Shepherd.